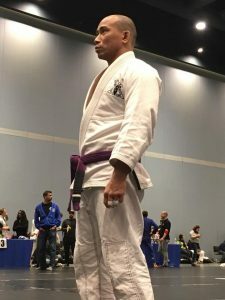 I’m 41 years old and have been studying Brazilian Jiu Jitsu for roughly 10 years now and am currently a three stripe purple belt. I also wrestled through high school and a bit in college. Life in general…there have only been maybe one or two brief periods in my adult life where I wasn’t in shape and I vowed never to let myself get lazy again. Although, if I have a competition coming up, I will tailor my training to address those specific performance needs. 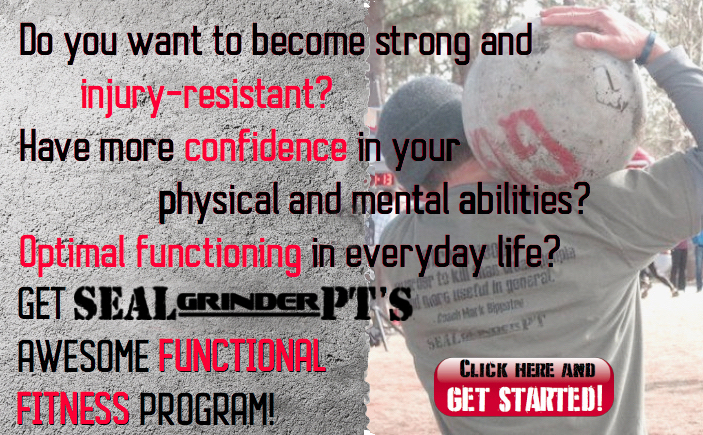 Do you feel that your strength and conditioning program filled gaps and needs for your MMA performance? Absolutely, there’s no question that strength and conditioning needs to happen off the mat to deliver that confidence needed to perform your best. On a scale from 1 to 10 (1 is low 10 is high) how high do you rank the importance of strength and conditioning to your MMA fight performance? 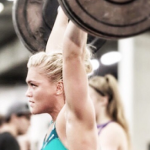 How much emphasis do you put into strength and conditioning? I put a lot of emphasis on strength and conditioning. Maybe it’s the old school mentality that I retained from my wrestling days. 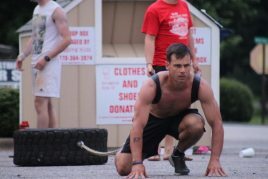 I feel that you’re only training at 50% if you’re not incorporating S&C into your fight camp. Are you preparing for a fight right now? Just had my super fight this past weekend after having a full 6 weeks to prepare. However, I plan to keep the intensity level high in case a spot opens up in one of the grappling events taking place over the next several months. 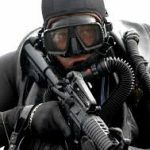 What would you say is your strongest area of training? For instance are you strong at push ups? Pull-ups? Squats? Kettlebell swings? None of them! That’s why I keep doing them. 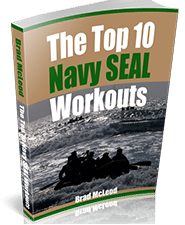 Coach Brandon here: Strength and conditioning is essential for athletics and all sports. Without a well planned strength and conditioning program your fitness and performance is dead in the water. 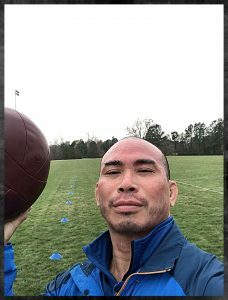 If you’re interested in learning more about how to improve your fitness and fight performance then make sure to visit me at my website, Brandon Richey Fitness. I also have a killer program, 90-Day Strength and Conditioning for MMA and Combat Fighting you’ll love. 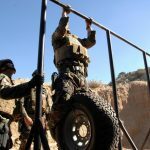 Written by Brandon Richey, SGPT coach and owner of Brandon Richey Fitness, the 120-Day Training Plan to Build Powerful Functional Fitness is designed to transform your body and mind for the rest of your life. You’ll never look at training the same way again. Click here or on the banner above and GET STARTED! Need more protein? 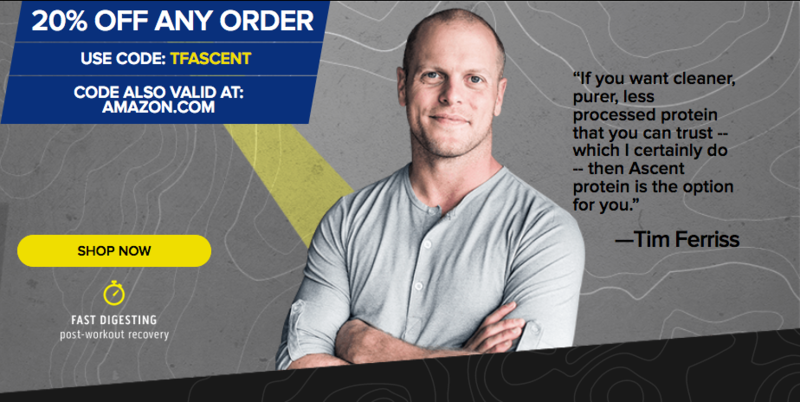 Try our favorite supplement—Ascent Protein. It packs 25g of protein in each serving, mixes well with water. If you have a blender, try making your shake with milk, a few ice cubes and some fresh mint. 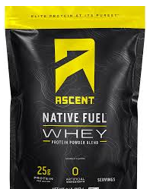 Ascent is available in both whey and casein. Both are certified gluten-free.